Friday May 11, 2018 @ 7.00 pm. Auditorium 5, Village East Cinemas, 2nd Avenue @ 12th Street, NYC. Cast - Sridevi, Mehdi Nebbou, Priya Anand, Adil Hussain, Laxman Utekar. Synopsis: Money, fame and knowledge of English. In India, these 3 factors play a huge role in how society judges an individual. English Vinglish is the story of a woman who does not know English and is made to feel insecure by her family and society at large. The film is a light -hearted yet touching and transformational journey of Shashi. Circumstances make her determined to overcome this insecurity, master the language, teach the world a lesson on the way to becoming a self-assured and confident woman. The film is shot mostly in New York and captures the inherent struggle of many people all over the world with the English Language. Hilarious, touching, sensitive, this film marks the comeback of India’s biggest female star…Sridevi. 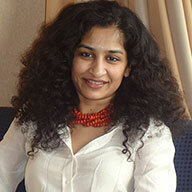 About the Director: Gauri Shinde is an ad-film and feature film director. She has made her directional debut with the highly acclaimed English Vinglish (2012), which marked the comeback of actress Sridevi. Shinde was born and brought up in Pune, where she studied at St Joseph's High School and later graduated from Symbiosis Institute of Mass Communication in Pune. Her aspiration towards filmmaking started right from the days at the end of her college life. She moved to Mumbai for her internship with documentary director Siddharth Kak and later started working with advertising agencies like IBW, Bates Clarion and Lowe Lintas, where R. Balki was the creative director. In following years she made over 100 advertising films and short films; her short film Oh Man! 2001 was selected for the Berlin Film Festival. Shinde also directed her second short film in 2005, Y Not?. Tribute to Sridevi Sridevi was an Indian actress and film producer who starred in Tamil, Telugu, Hindi, Malayalam, and Kannada films. Regarded as Indian cinema's biggest female superstar, she was the recipient of two Filmfare Awards and three Filmfare Awards South. Sridevi is considered to be one of the most popular actresses of Indian cinema. Sridevi made her debut as child artiste with the 1967 Tamil film Kandan Karunai at the age of 4, and started her acting career in lead role as a child with M. A. Thirumugam’s 1969 devotional Tamil film Thunaivan and continued to act as a child artist in Tamil, Telugu, Malayalam and Kannada films. She made her Hindi film debut as a child artist in Rani Mera Naam and played her first adult role at age 13 with the Tamil film Moondru Mudichu. Sridevi established herself as one of the leading actresses of Tamil and Telugu cinema, with leading roles in 16 Vayathinile, Sigappu Rojakkal, Varumayin Niram Sivappu, Meendum Kokila, Premabhishekam, Moondram Pirai, Aakhari Poratam, Jagadeka Veerudu Atiloka Sundari and Kshana Kshanam. Sridevi's first starring role in Hindi cinema came with the 1979 drama film Solva Sawan, and she gained wide attention with the 1983 production Himmatwala. She went on appear in a series of commercially successful films, including Mawaali, Tohfa, Naya Kadam, Maqsad, Masterji, Nazrana, Mr. India, Waqt Ki Awaz and Chandni. She also received praise for such films as Sadma, Nagina, ChaalBaaz, Lamhe, Khuda Gawah, Gumrah, Laadla and Judaai. Following the role of the titular protagonist in the television sitcom Malini Iyer, Sridevi returned to film acting in 2012 with the successful comedy-drama English Vinglish. She then starred in her 300th film role in the 2017 thriller Mom. She earned critical acclaim for her performances in both films. In 2013, the Government of India awarded Sridevi the Padma Shri, the country's fourth highest civilian accolade for her contributions to the entertainment industry. Honorary awards were also conferred on her by the state governments of Tamil Nadu, Andhra Pradesh and Kerala. Sridevi was also voted 'India's Greatest Actress in 100 Years' in a CNN-IBN national poll conducted in 2013 on the occasion of the centenary of Indian cinema. She was married to the film producer Boney Kapoor, with whom she had two children.